Roy's Peak was the hike I was most excited for on our entire New Zealand trip, and it did not disappoint. 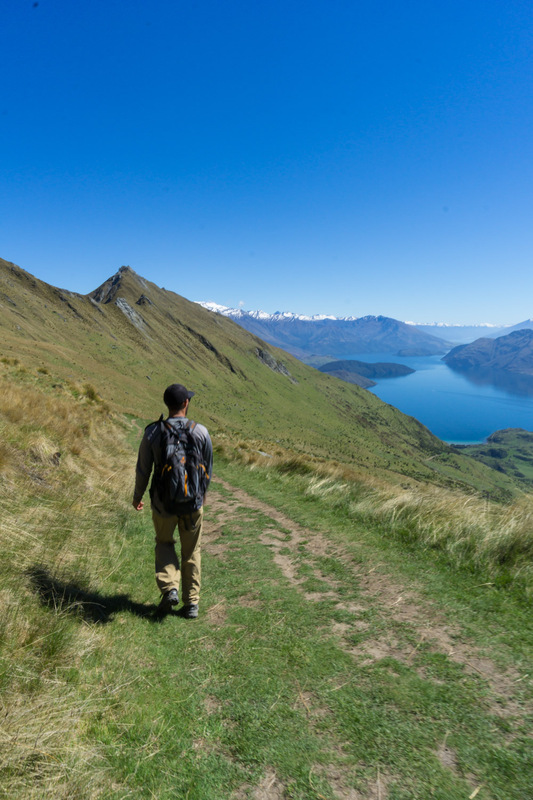 This steep, strenuous hike straight up the side of a mountain climbs to a once in a lifetime view of Lake Wanaka and Mount Aspiring National Park. Try to start this hike as early in the morning as possible since the entire trail is exposed and can get hot in the sun. Also, this is a popular trail so you can avoid some of the crowds by starting early! I'd love to catch sunrise or sunset from up here one day. We got to the large lot early, around 6:30AM. After loading up our backpacks, we headed up and over the first fence and up the wide dirt trail. The path switchbacks clearly up the entire mountainside crossing over private land. We started breaking a sweat early since the trail is quite steep right off the back. Even though we got an early start, the sun was already warm on this November day. As the views of Lake Wanaka got better and better, we passed by lots of sheep, many with their little lambs, as well as plump calling quail in the shrubs. Watch out for lots of sheep poop in the first half of the hike. Sheep don't even realize the view they have! We continued relentlessly climbing up the hillside, periodically looking towards the top ridge to see if our destination looks any closer. We passed a total of 4 gates and even a nice rest area complete with picnic tables. The trail is easy to follow and straightforward. 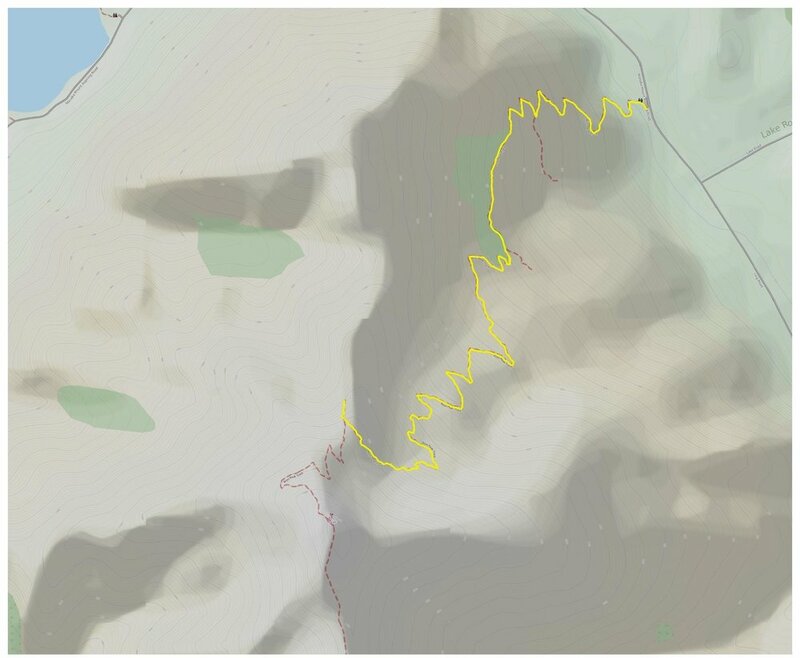 You'll be able to spot a few options to cut several of the switchbacks, but they are quite steep and we found the switchback to be easier on the legs in the long run. As we rounded the final switchback, we spotted the small iconic peak that everyone was taking pictures with - Roy's Peak lookout, our final destination! As we approached the viewpoint, I finally understood why this hike was so popular. The 360 degree view of all of Lake Wanaka in its entirety below the Mount Aspiring National Park peaks. 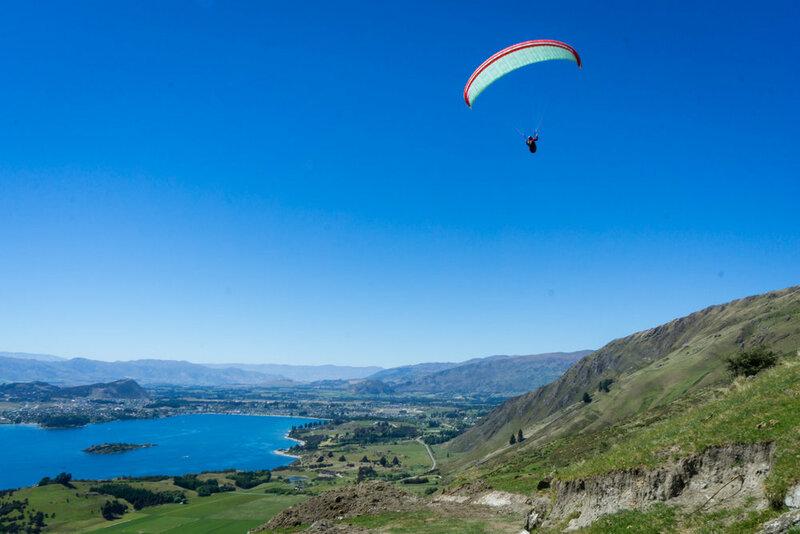 Although the views on the hike are incredible the entire time, the perfectly positioned ridgeline and peak at the lookout gives you the perfect angle to look straight down the main arm of Lake Wanaka. The 3,500 ft climb up to Roy's Peak lookout is worth the views. We attempted to capture the 360 degree panoramic views of Lake Wanaka and snow-capped Mt. Aspiring in the distance with some drone footage using the DJI Mavic Pro. We weren't ready to hike back down the steep trail any time soon, so we set up our Fatboy inflatable couch on a ledge above the lookout to have a snack and enjoy our hard-earned view. I could sit here forever with this view! We watched several clouds form and dissipate above the peak. Some of the hikers continued uphill to the actual top of Roy's Peak, another mile and 1,000 ft of climbing, but we decided to start hiking down as we still had to drive to the West Coast later that day. We were lucky to share the views with only a handful of other people this early in the morning, and by the time we left the peak there was quite a steady stream of hikers arriving at the lookout spot. The hike down was just as tiring and hard on the legs as going up! Our tired knees and burning quads still needed a break every so often, but at least we had the views of the lake directly in front of us the entire time. We even stopped to watch a paraglider attempt to take off from a grassy field halfway up the hillside several times before he successfully got into the air and sailed around for 20 minutes before landing down by the parking lot. Going down was a lot faster than going up, as it only took us an hour and 40 minutes to make it back to our car. The parking lot was filled by this time, and we were glad to have finished hiking by the time the sun was at its warmest. Time to head back to town for some burritos and ice cream! Overall, a must-hike if you are in the Queenstown area, just try to avoid the crowds by going early so you can truly enjoy the views.